In early 1939, America's rigid immigration laws made it virtually impossible for European Jews to seek safe haven in the United States. As deep-seated anti-Semitism and isolationism gripped much of the country, neither President Roosevelt nor Congress rallied to their aid. Yet one brave Jewish couple from Philadelphia refused to silently stand by. Risking their own safety, Gilbert Kraus, a successful lawyer, and his stylish wife, Eleanor, traveled to Nazi-controlled Vienna and Berlin to save fifty Jewish children. 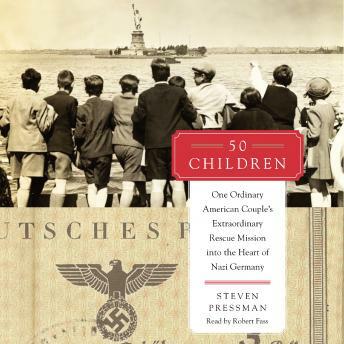 Steven Pressman brought the Kraus's rescue mission to life in his acclaimed HBO documentary, 50 Children. In this book, he expands upon the story related in the hour-long film, offering additional historical detail and context to offer a rich, full portrait of this ordinary couple and their extraordinary actions.